My name is Tom Sloan Jr. I am a 3rd generation missionary to Mexico. My grandfather, Dr. L.H. Ashcraft, was a missionary in Monterrey, Mexico for 30 years. My Father, Tom Sloan M.D., was a medical missionary to Chiapas, Mexico for 34 years. And my wife, Mona, and I got started in missions 20 years ago. We are church planting missionaries but God has given us a new and exciting way to evangelize the lost souls of Mexico and Guatemala thru the radio ministry. The vision has been present since the early 1970’s when Missionary Tom Sloan M.D. started praying specifically for a radio ministry. God does not give a vision for naught, and we know that visions are transferable from one generation to another. God gives His laborers a vision and then answers the prayers for those ministry visions. At times it seems that God gives a vision and the present generation prays for that vision. Then He sends another generation to which He transfers that same vision and uses them to answer the prayers and ministry vision of the previous generation. Just as King David prepared everything for the construction of the temple so that his son Solomon could carry out the great task of building the temple, Dr. Tom Sloan has left behind a great provision for the carrying on of his dream to reach the masses with the Gospel. 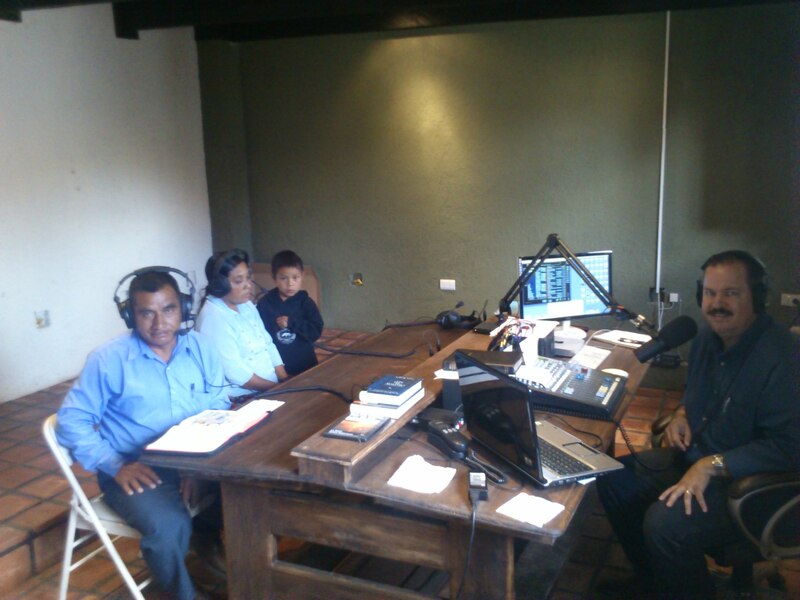 For many years it was impossible to have a Christian Radio Station in Mexico, but God has opened the doors for one in Chiapas, Mexico. We are currently reaching 5 million folks in the Spanish language with a radio station in San Cristobal De Las Casas and another 500,000 who speak the Mayan languages of Tzotzil, Tzeltal and Tojolabal in the state of Chiapas, Mexico. God has given us adequate legal paperwork to be able to preach the Gospel on Compassion Radio. The uniqueness of this radio ministry is the fact that hundreds of thousands of Mexican and Guatemalan people listen to the radio every day. You can walk six hours from the nearest blacktop road into villages in Chiapas where there is no running water or electricity, but everybody has a battery-powered radio. This ministry gives us an opportunity to reach people who have been steeped in un-biblical traditions for hundreds of years. To this day, many of them still worship their ancestors, the moon and sun. Others trust their witch doctors. We are reaching many of these people with the Gospel thru the ministry of Compassion Radio. Pastor Sebastian works in the mountains of Chiapas, México where thousands of Mayan Indians live who are easily accessible by way of radio. 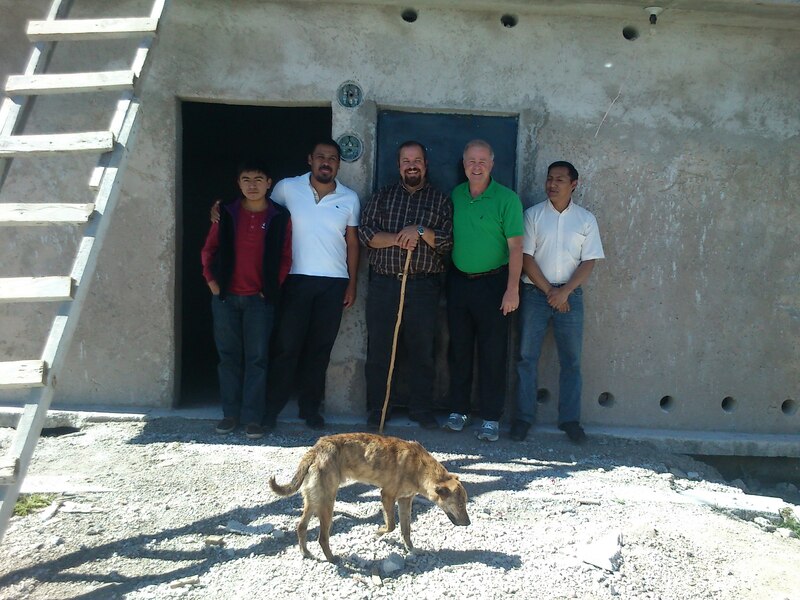 Today, the ministry that began on that ‘ugly’ property is Mount Hebron Baptist Ministries and has produced hundreds of preachers and missionaries and full-time workers that are making an impact, taking the Gospel to Mexico, and to many other parts of the world. I am presenting the vision that God has given us concerning the ministry of Compassion Radio Network. We can only imagine what God has for the future of Compassion Radio through the eyes of faith. 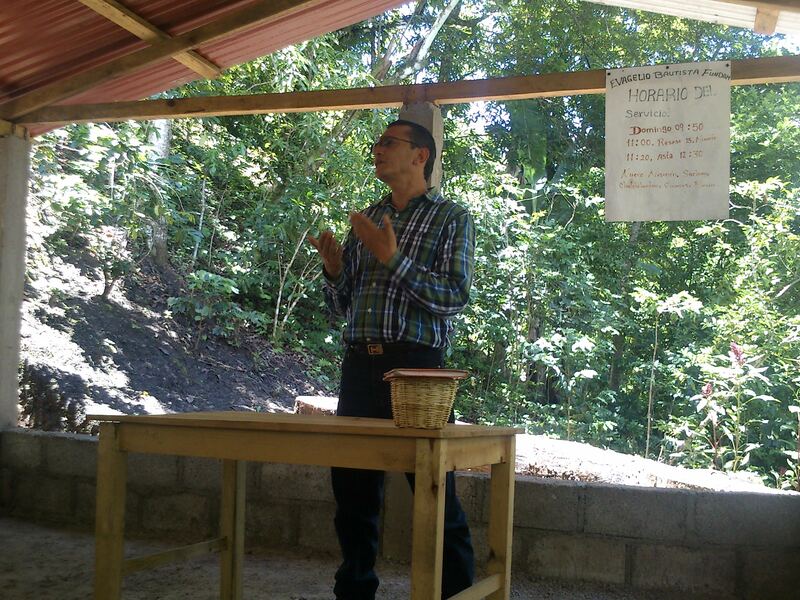 We have only had this radio ministry for a little over a year, but have already seen 1 new church established in Berriozabal, Chiapas as a direct result of the ministry of Compassion Radio. Nelson and his wife Maria placed their faith in Christ as they listened to me preach on Compassion Radio February 25, 2012. A few months later, we were able to establish Mount Calvary Baptist Church in Berriozabal upon the invitation and request of Nelson. Since then, we have seen others come to faith in Christ in Berriozabal through the ministry of Mount Calvary Baptist Church. Tom with Nelson and Maria standing next to the radio that they use to listen to Compassion Radio. Compassion Radio is currently transmitting with a 300 watt transmitter at an altitude of 8,500 feet on Huitepec Mountain and is reaching an area of about 5 million people with the Gospel 24 hours a day. We are trying to raise $30,000 USD for a new repeater tower on Tzontehuitz Mountain which has an elevation of approx. 9,000 feet. We will be able to reach another 6 to 7 million people with the Gospel with this new repeater tower. On Tzontehuitz Mountain, I would like to install a 2,500 watt transmitter with a 2 bay antenna. I would like to upgrade the 300 watt transmitter on Huitepec Mountain to a 1000 watt transmitter and a 2 bay antenna. Also, we have a desire to install a radio station in Xela, Guatemala. This is a project that we are praying about and are working toward for the near future. Please pray for us as we seek guidance for the radio ministry in Xela, Guatemala. Pictured at the transmitter room on Tzontehuitz Mountain Left to right: Neto(DJ for Compassion Radio); Sixto(legal advisor for Compassion Radio); Tom Sloan Jr.(founder of Compassion Radio Ministries); George Zarris(Founder Cristian Radio International); and Emilio Jimenez(full time editor and programing specialist for Compassion Radio). – Thru The Bible with J. Vernon McGee – translated to Spanish. – Ravi Zacharias – translated to Spanish. – Adrian Rogers – translated to Spanish. – Charles Spurgeon -translated to Spanish. – Unshackled – Pacific Garden Mission, Chicago, Ill.
– I preach every morning at 9:00 A.M. Monday thru Friday. ladies every Friday at 11:00 A.M.
– We have 3 pastors who come in and preach on Compassion Radio in the following native Mayan Indian languages: Tzotzil, Tzeltal, and Tojolabal. – We also play sermons by 4 other missionaries and pastors every day. – We have audio Bible which we play every day in Spanish, Tzotzil and Tzeltal. -And we also have a good variety of music that we play as well. Compassion Radio 104.3 F.M. is on 24 hours a day preaching the Gospel of the Grace of God, by the Grace of God. We started broadcasting on this frequency Sep 4, 2012. Compassion Radio is a non-profit radio station, and the permit that we have for broadcasting does not allow us to do any fund raising over the air. 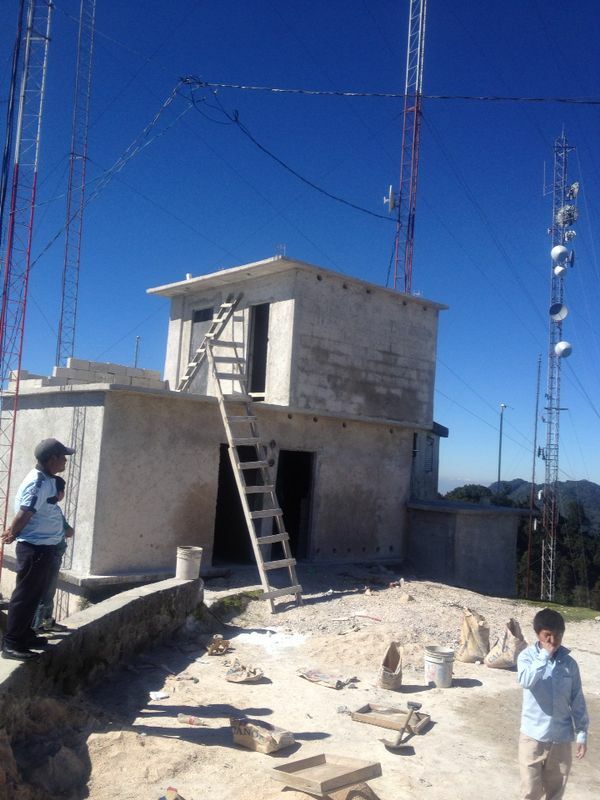 We are seeking financial support for the expansion of our radio ministry network in Mexico and to be able to install the repeater tower on Tzontehuitz Mountain. My desire, vision, dream and goal is to set up a network of towers in Mexico and Guatemala so that we can reach more people, more clearly with the Gospel of Jesus Christ. There are thousands of Indians in the mountains of Chiapas, living in villages so remote that a vehicle cannot reach them. However, nearly every village has at least one radio, where the Gospel could reach them through the radio waves. What an opportunity!! Hear the cry of their souls! How many would place their faith in Christ if the Gospel came to them over the radio?! The majority of them are not shaking their fists in God’s face; they’ve just never heard the Gospel. Just as the disciples beckoned to the other boat to help them get the fish in the boat, I am asking that you help us to bring the harvest in. 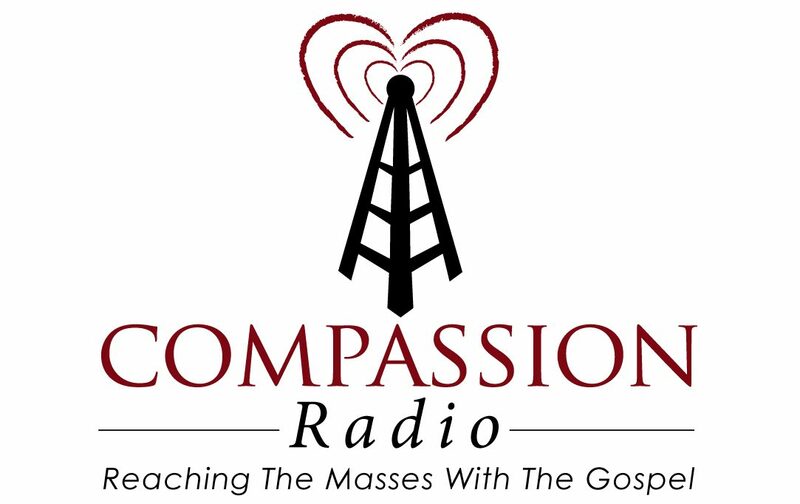 Would you be willing for the Lord to use you as a partner in the ministry of Compassion Radio? I am simply one fisherman asking other fisherman to come help, lest my net break and I am unable to bring in the harvest alone. and a 2 bay antenna. 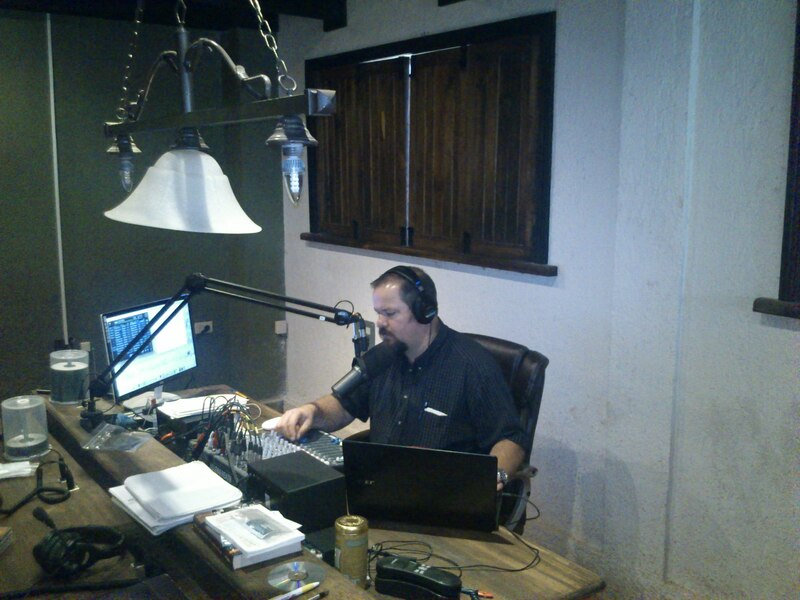 The vision for the radio has been given, and the Lord is opening doors. God is going to have to do the work as the arm of flesh is not powerful enough. But God needs men and women who would lift the arms of the leaders in this ministry. Pictured is Limbano giving his salvation testimony. We would like to set up a time when we could come by your church and present the ministry in Mexico. We are encouraged and exited that God has allowed us to have this ministry in Chiapas, Mexico and are looking forward with much anticipation to what God is going to allow us to do in the future through the network of Compassion Radio. 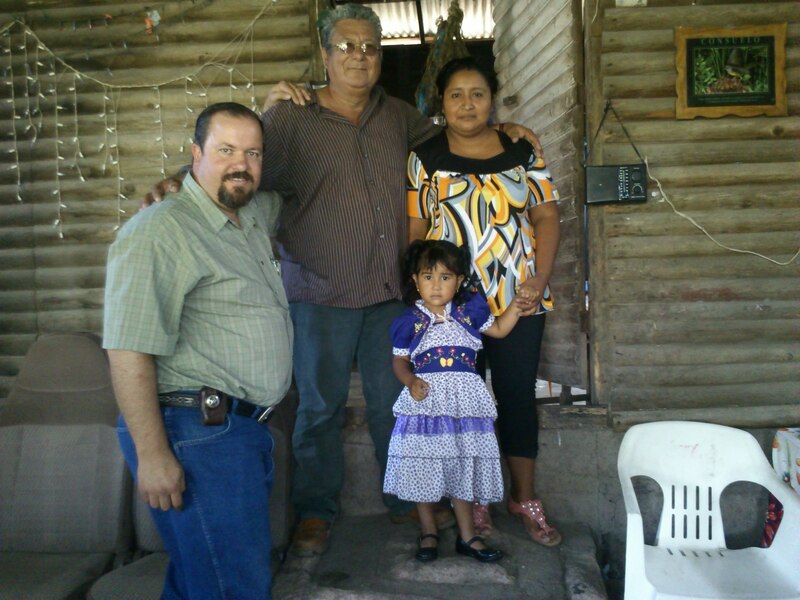 Would you prayerfully consider helping us reach the lost souls of Mexico with the Gospel of the Grace of God? We need churches that would be willing to team up with us to carry out the great commission in Mexico and Guatemala. Would you be willing to take a mission trip to Chiapas, Mexico and see the open doors and what God is doing? We would love to have you come and visit us. in Austin, TX. Doyle Thompson is our pastor. Our mission board has a 501c3 status.